Team Penske’s two most veteran Monster Energy NASCAR Cup Series drivers, 2012 champion Brad Keselowski and reigning series champion Joey Logano, seem to have a solid friendship and teammate relationship nowadays. 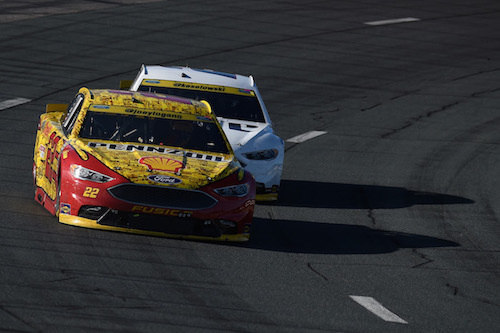 Keselowski even was instrumental in bringing Logano into Penske ahead of the 2013 season. However, the two drivers weren’t always chummy, at one point, Keselowski was even jealous of his future teammate.